This book is for Buffy fans. I suspect if you aren’t one, you may not enjoy it as much. I was skeptical starting the read. 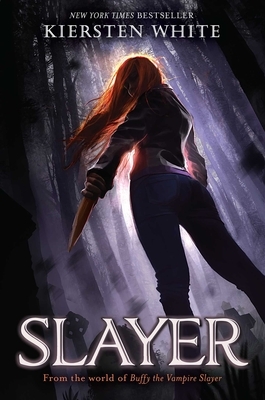 I wasn’t sure how there could be a Last Slayer in the Buffy world. But, I was swayed pretty early on. I loved all the references to that world, dropped tidbits and appearances. I could have used more (scooby updates). I also enjoyed the lineages of the watcher families and how this book was told from the perspective of someone who grew up with Watchers and not the Slayer. Lastly, the irreverent tone from the show carried through to this book and I hope there will be a second book.